Lyme disease is a bacterial infection that can be spread to humans by infected ticks. It's usually easier to treat if it's diagnosed early. 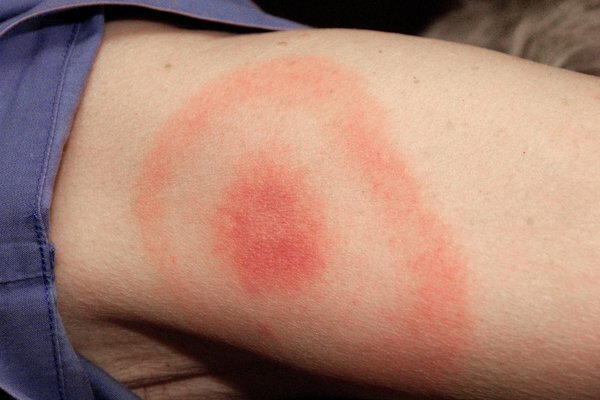 Many people with early symptoms of Lyme disease develop a circular red skin rash around a tick bite. The rash can appear up to 3 months after being bitten by a tick and usually lasts for several weeks. Most rashes appear within the first 4 weeks. Ticks are tiny spider-like creatures that live in woods and areas with long grass. They are found all over the UK. Ticks don't jump or fly – they attach to the skin of animals or humans that brush past them. 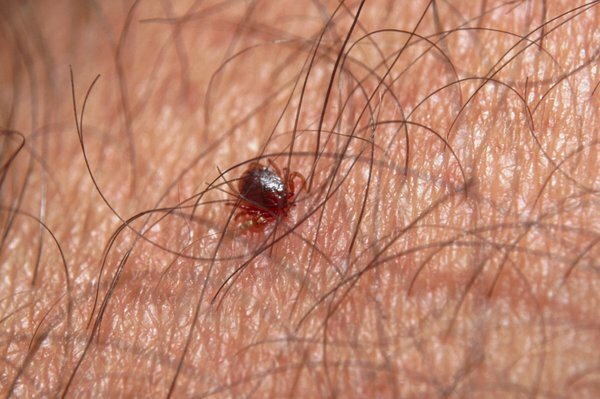 Once a tick bites into the skin, it feeds on blood for a few days before dropping off. Some people with Lyme disease develop more severe symptoms months or years later. This is more likely if treatment is delayed. Only a small number of ticks are infected with the bacteria that cause Lyme disease. A tick bite can only cause Lyme disease in humans if the tick has already bitten an infected animal. But it's still important to be aware of ticks and to safely remove them as soon as possible, just in case. Tick bites aren't always painful. You may not notice a tick unless you see it on your skin. Regularly check your skin and your children's or pets' skin after being outdoors. Use fine-tipped tweezers or a tick-removal tool – you can buy these from some pharmacies, vets and pet shops. Slowly pull upwards, taking care not to squeeze or crush the tick. Dispose of it when you've removed it. The risk of getting ill is low. You don't need to do anything else unless you become unwell. Tell them if you've been in forests or grassy areas. Your GP will ask about your symptoms and consider any rash or recent tick bites you know about. Lyme disease can be difficult to diagnose. It has similar symptoms to other conditions and there is not always an obvious rash. Two types of blood test are available to help confirm or rule out Lyme disease. However, these tests are not always accurate in the early stages of the disease. You may need to be re-tested if you still have Lyme disease symptoms after a negative result. If your GP thinks you might have Lyme disease, they'll prescribe a 3-week course of antibiotics. It's important to finish the course, even if you start to feel better. Some people with severe symptoms will be referred to a specialist in hospital for injections of antibiotics. Most people with Lyme disease get better after antibiotic treatment. This can take months for some people, but the symptoms should improve over time. People with symptoms of Lyme disease that last a long time after treatment may be referred to a specialist in hospital for advice and more blood tests. Some websites offer tests and treatment for Lyme disease that may not be supported by scientific evidence. Speak to your doctor for advice before buying tests or treatment online. A few people who are diagnosed and treated for Lyme disease continue to have symptoms – like tiredness, aches and loss of energy – that can last for years. These symptoms are often compared to fibromyalgia and chronic fatigue syndrome. It's not clear why this happens to some people and not others. This means there is also no agreed treatment.